Dr. Spencer grew up in Bettendorf, IA. After graduating from Bettendorf High School, she attended the College of Veterinary Medicine at Iowa State University. She moved to Schaumburg, IL in 2001 and practiced Veterinary Medicine at a small animal hospital near Chicago. Dr. Spencer, now Dr. Spencer-McShane, moved back to the Quad-City area to be closer to her family where she worked at Abel Keppy Veterinary clinic. Dr. Spencer took some time off from Veterinary work after her son Liam was born in 2011. 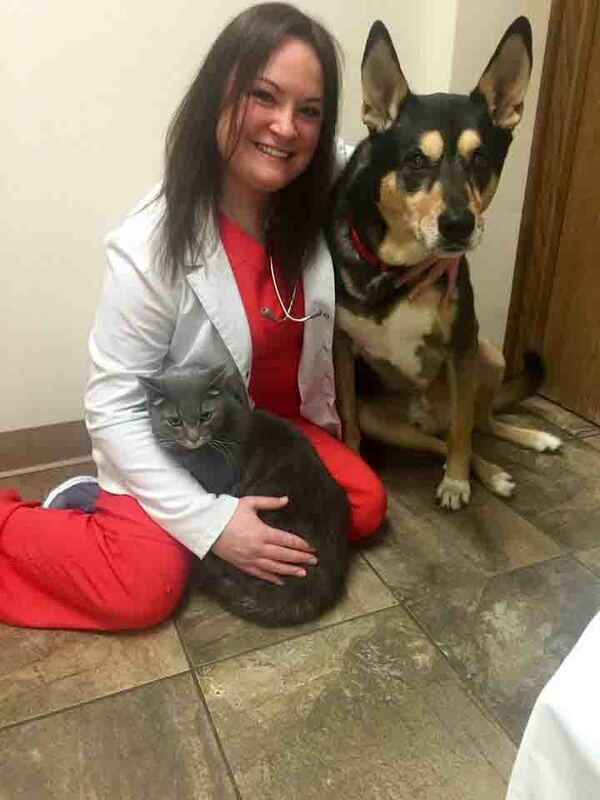 After a few months, Dr. Spencer worked as a relief Vet for many clinics in the Quad Cities, from the Animal Emergency Center to clinics at Muscatine, DeWitt, Milan and Rock Island. Dr. Spencer also helped out the Quad City Animal Welfare Center in Milan, where she performed low cost Spays and Neuters on animals ready for adoption. Before opening Care Animal Center, she starting teaching a Veterinary Tech class at Black Hawk College. Being passionate about helping the community, she continues to teach this class. She resides in Bettendorf with her husband, Paul, daughters, Genevieve and Isabella, and her son Liam plus two dogs, one cat and three goldfish. Dr. Spencer-McShane specializes primarily in small animals; rabbits, ferrets, and various rodents. She has a love for surgery and uses ultrasound and digital X-Ray as her diagnostic tools. She improves her skills through continuing education which is paramount to her success in providing care for her patients. Dr. Spencer posing with her puppy Willow. 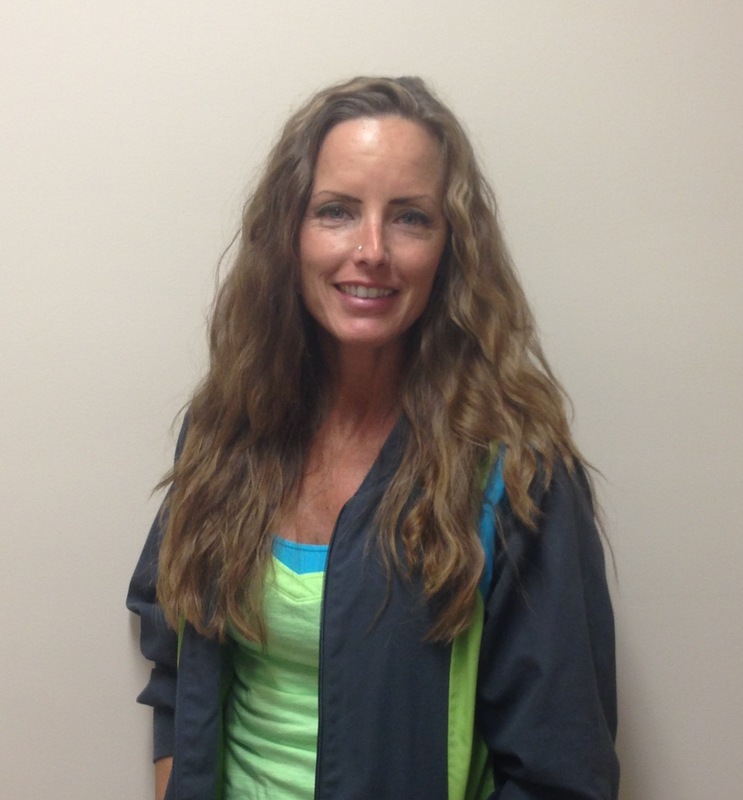 Dr. Michelle Trommer is originally from East Moline, Illinois, where she graduated from United Township High School. She then attended the University of Illinois in Champaign-Urbana where she completed her undergraduate work, and graduated from the College of Veterinary Medicine in 2013. She was then happy to return to the Quad City Area to begin her career as a veterinarian. Dr. Trommer is especially interested in small animal internal medicine, dentistry, and preventative care medicine. She is delighted to join Dr. Spencer and her staff at Care Animal Center, appreciating their high quality standards and their compassion towards their furry (and feathered!) patients- and of course, the people that care for them deeply! In her spare time, Dr. Trommer loves to spend time with her family and friends. Dr. Trommer and her fiance enjoy sharing their home with two dogs: "Skeeter" and "Hank", two cats: "Oskee Wow Wow" and "Mildred (Midge)", and African Grey Parrot "Tika". Dr. Trommer with two of her family members. 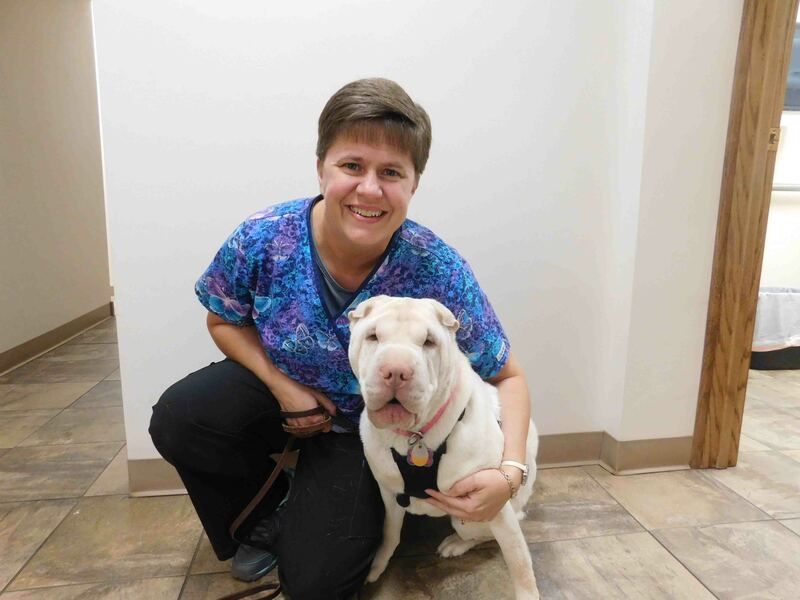 Bobbie has been working as a veterinary technician for over 40 years. She has lived in the Quad Cities for her entire life and wouldn’t dream of being anywhere else. Graduated from bel-rea institute of animal technology in 1974.Practiced for two years in Portland and then she started with Dr. Keppy in 1978. Bobbie lives in davenport with her husband and Matilda, her wachtelhund. Also has a son, Trey. Loves to read, been 4th degree black belt practicing tae kwon do since 1996. Bobbie looking for a board to split in two. She seriously can. I have been in the veterinary industry for 15 years. In working with Dr. Spencer in the past and seeing the passion she has caring for animals I found myself wanting to work with her again. I accepted a position here at Care Animal Center and now hold the position as Practice Manager. I still work the front desk as well because I love to see our clients and their babies. This career change was the best decision I could have made. I Love my job, working with Dr. Spencer and my co-workers. A happy work environment is a happy environment for our wonderful clients and their pets that they bring in to see us as well. It just works! I am currently engaged to a wonderful man! Dan and I like to take time out of our busy lives to relax and enjoy each other’s company. If given the opportunity we like to travel, vacations are always nice. We have 3 dogs, Rocky and Adrian which are Dobermans and Gizzy is a Shih- tzu puppy. Gizzy’s got it figured out, She Is Alfa! She just thinks she’s a Doberman. They all three are very spoiled babies. I have 2 children, Justin and Chelsea. They have graced me with 5 Grandchildren. What a joy it is to see them grow and drive their parents crazy. Justin and Lindsay have Aleajah, Skyelynn and Zoey. Chelsea and Ryan have Landon and Presleigh. They are such treasures! That leads to me to the subject of what I do in my spare time. I love spending time with my family and my fiancé Dan. A great passion I have is art but I don’t have a lot of time to dabble in it anymore, but when given the chance I dabble in it with the Grandkids. They love art as well. We try to do crafty things together or gifts for special occasions. Home made gifts are from the heart and it always makes both parties feel good. If you have a passion you have to work it into your busy life somehow so why not do it with those you care about. I consider myself very blessed ! Arazi got her unique name after a race horse that raced in the Kentucky derby's. She graduated from Black Hawk College where she took a veterinary assistant class taught by Dr. Spencer who is a wonderful teacher and boss. When Dr. Spencer offered me a job to be her veterinary assistant at Care Animal Center, I thought I died and went to heaven. It was the best day of my life because I knew this meant I can start my career and be doing something that I love and feel passionate about. My job is a rewarding job and I wouldn't trade it for anything! When you love your job and the people you work with it makes a big difference. I would like to make a special shoutout to my loving and caring boyfriend of 6 years and my wonderful Parents who have always been very supportive and right behind me every step of the way. I have 3 beautiful fur babies who I love more than anything in this world! Zacharia Cain a Pomeranian, Gracie Ann oliva a papillon and Piper Isabella a Westie. In my spare time I like to hangout with friends and family, go shopping, take road trips, and play with my pups. I look forward to growing my career in this field of veterinary medicine. I have been in the Veterinary field for the past 10 years. 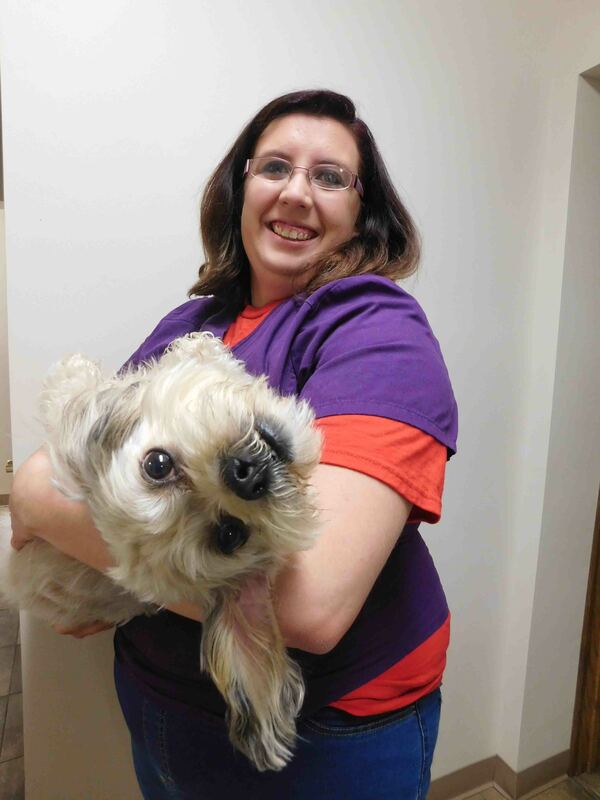 I found her passion in the veterinary industry after taking several veterinary technician courses. I had the honor of touring the Hill’s Science Diet plant in Topeka, Kansas and found my interest in nutrition and attended several other animal nutritional conferences. I am currently working on my Veterinary Nutritional Advocate certification. I have 3 dogs: Chase, a puppy mill rescue Papillion, Meeko, an evil genius Pomeranian, and Zailee, a shar Pei who we call our wrinkled Labrador. We have had many other pets in our lives including hamsters, ferrets, rats, an iguana, and Guinea pigs just to name a few. In my spare time, I enjoy taking cooking classes (and laughing at myself for thinking I can do all that) with Aryana, watching movies, and have found a new love for zip lining. I have to also admit that I am an Angry Birds freak and love Harry Potter. 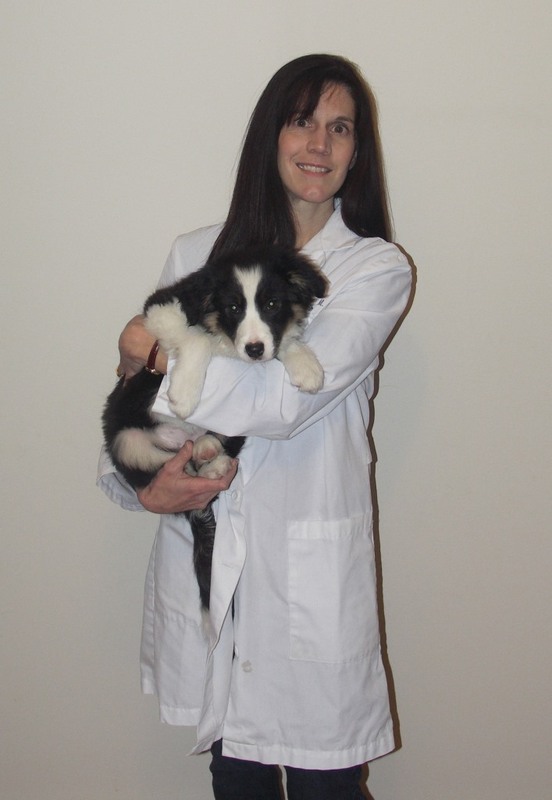 Megan graduated from Muscatine Community College in 2013 with a degree in Veterinary Technology. She has previously worked at a couple different Veterinary clinics before starting at Care Animal Center. In April 2016. She has a dachshund mix named Mokie who was adopted. In Megan’s spare time she enjoys reading and writing as well as watching movies and TV Shows on Netflix. Megan and her husband are hoping to buy a home soon so they can expand their fur baby family. Care Animal Center has been voted the best Pet Service in the QC Times Reader's Choice Awards. Call us today to find out why!